What do you think of the White House’s new solar panels that were unveiled last month? “Better late than never,” was the comment from climate activist Bill McKibben in response to of the newly-installed solar panels on one of the country’s most iconic buildings. 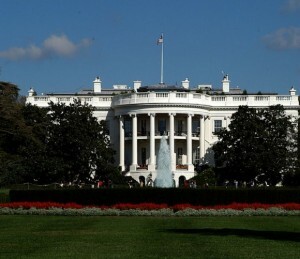 ABC News stated, “White House finally gets solar panels” and hundreds, if not thousands, of other media outlets reported on the on-off history of roof-top solar panels at the White House, which had been installed in the late 1970s by President Carter and removed in 1986 when building works were being undertaken for President Regan. President Obama made the pledge to add the panels way back in October 2010. The pledge reflected the Government’s green commitment, including its support of renewable energy at that time, a stance which President Obama has reinforced as the globe faces climate changes, rising sea levels and unpredictable weather patterns. Today the Obama Administration is still committed to reducing America’s greenhouse gas emissions by 17 percent by 2019 (from 2005 levels), and increasing renewable energy, increasing energy efficiency and generally securing America’s energy future. Having once worked with the White House ourselves, The Refinishing Touch is pleased to see the same ethics behind the sustainable practices we performed inside being brought to the light – literally – with the reinstallation of solar and its photovoltaic technology. Whether it’s a historic government edifice, a college dormitory in need of an update, or a hotel looking to increase décor, maintain brand guidelines and increase guest retention – every building has a sustainable option when it comes to updating look, facilities and furniture. Whether its solar technology, recycling programs, or furniture asset management, there are ways to create environmental benefits alongside budget gains and design payback. By incorporating the three R’s – reduce, reuse, recycle – into our business plan from day one and encouraging our clients to do the same, we have been fortunate to assist decision makers and environmental activists in greening US buildings since 1977. If you’d like to learn more about The Refinishing Touch’s work within the government sector, please visit our project page here. As a certified contractor with the General Services Administration (GSA) The Refinishing Touch has worked with hundreds of federal government organizations to help them realize the benefits of furniture asset management. Over the last 37 years we have refinished, reupholstered and remanufactured tens of thousands of pieces of government furniture and fittings to save budgets, protect assets and reduce the environmental impact of government operations. The scope for saving budgets, resources and the environment within the federal government, which occupies more than 500,000 buildings, and manages hundreds of thousands more, is enormous. The U.S. government has made a number of changes with respect to federal policies to protect spend and to increase commitment to sustainability initiatives. These policies and federal sustainability efforts include the current administration’s Climate Action Plan and an Executive Order signed by President Obama in 2009 to set sustainability goals for federal agencies to improve their environmental, energy and economic performance. We appreciate that the federal goals bring together environmental and economic performance. Our experience spans government and federal agencies including the U.S. Department of Justice, U.S. Congress, U.S. Department of Defense, the Executive Office of the President, and U.S. Army, Navy and Coastguard buildings, housing and barracks. We know, first-hand, the dual returns of furniture asset management; the environmental and economic impact. Our previous calculations, based on the building numbers and our experience of the furniture footprint in government buildings, estimate that the annual cost of federal spend on new furniture is now upwards of $714 million. This is not an insubstantial proportion of the $500 billion the federal government spends each year on goods and services. Furniture asset management best practices protect budgets by up to 80 percent, and cuts carbon dioxide emissions by a factor of a hundred. By way of example, a furniture asset management project we completed at the Naval Air Station Pensacola, delivered a 74% total cost savings, costing the agency $268,000 compared to an original budget estimate of $1.1 million. Even if you take a more conservative estimate of reducing budgets by 70 percent, the federal government would still save $500 million a year on furniture asset spend by applying some of the basic best practices of furniture asset management. Half a billion dollars in budget savings is not only an excellent example to set for other government agencies, it’s and a great way to demonstrate public accountability. If you work in the government sector, get in touch with us today to learn how you can maximize resources and environmental impact.